BitPay first opened its doors in the summer of 2011, seeking to help solve what founder Tony Gallippi believes to be one of the greatest problems preventing consumers and merchants from using Bitcoin: usability. The company’s main offering is a payment processing service, which merchants can sign up for to provide customers wishing to pay them in bitcoin with a convenient interface to do so similar, but usually much simpler, than that provided by traditional merchant services like PayPal. For a small additional fee, BitPay also provides the option for merchants to have any bitcoins that they receive instantly deposited into their bank account, allowing them to bypass Bitcoin price fluctuations entirely. 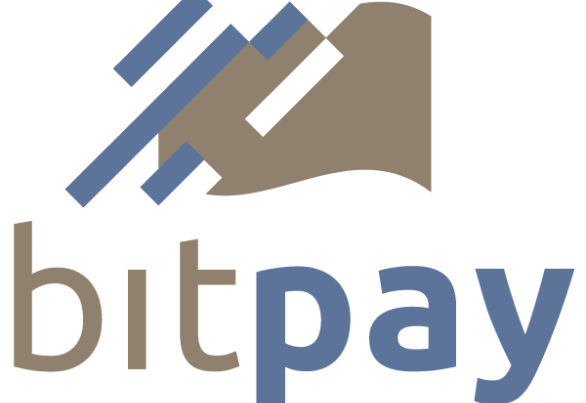 BitPay has grown rapidly since its inception, and has added a number of new offerings in the past 12 months. Though independently of BitPay itself, in December 2011 Gallippi announced LoveBitcoins, a Bitcoin adoption campaign that set for itself the audacious goal of bringing to Bitcoin 1 million new users. In January, BitPay released a plastic card which one can carry to allow anyone to pay them simply by scanning the card with a smartphone Bitcoin wallet, while BitPay’s back-end automatically converts the bitcoins and immediately deposits money into the owner’s bank account. The core merchant system has also added a shopping cart, smartphone-based checkout mechanisms, and customized solutions for use cases like event tickets and taxis and limousines. But BitPay truly started to pick up this spring. Transaction volume more than quadrupled each month from March to May, and BitPay finally broke out into the Bitcoin mainstream in June, when Butterfly Labs announced that they would be releasing a new line of Bitcoin mining computers based on a technology known as ASIC which will be dozens of times faster than anything available at the time. Butterfly chose BitPay as their payment processor, and BitPay received considerable media attention after their payment processing service handled a total of over $250,000 worth of transactions in a single day after pre-orders for Butterfly’s new machines opened up for sale. Over six months, BitPay has grown from almost nothing to being the leading platform for Bitcoin e-commerce, used by everything from retail stores to political donations and even Bitcoin Magazine itself. Now, BitPay is celebrating another important milestone: one thousand merchants. 1. Three to four months ago, you gave some figures that showed extremely rapid growth for BitPay – $10,000 transaction volume in March, $40,000 in April, $170,000 in May and a record of $250,000 in one single day in June when Butterfly Labs released their ASIC machines. How much has the volume of your business grown since then? Our business continues to increase. After the big single-day record, our business is running above $550,000 in monthly transactions. Probably what is more exciting is the much larger number and diversity of our merchants. Since we launched our new website at the end of August, the number of merchants we have accepted has exploded by 30% in three weeks. 2. What kinds of businesses and what specific industries make up the bulk of your client base? Are there any categories that either struck you or would strike the Bitcoin community as being particularly surprising? The majority of our merchants are eCommerce businesses. Whether they are shipping merchandise or just delivering a digital product or service, the businesses who accept payments online see the most value in accepting bitcoin in its early stage. The category where we get many merchants is in IT services, which would cover webhosting, domain registration, and internet access. 3. Are there any industries which are not yet well represented in Bitcoin business but you feel are ripe for adoption? What is BitPay doing to target them? The one that seems ripe to widely adopt bitcoin is VPN services. 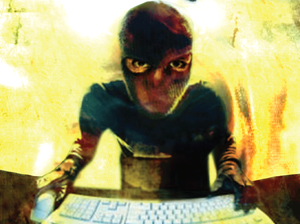 We have a couple dozen merchants that offer VPN services, which is a service designed for internet privacy. Using bitcoin as a private payment method would make perfect sense, both for the business and for the customer. 4. In your speech at the Bitcoin conference in Prague last November, you identified three factors that were preventing merchants from adopting Bitcoin: first, the catch-22 issue that no customers were asking for it, second, the problem that it’s too hard to buy bitcoins, and, third, that the price is too volatile. In the ten months since then, how much do you feel that Bitcoin has progressed in each of these areas? Progress is being made in all three areas. We are starting to talk with larger and larger companies about accepting bitcoin. Bitcoins are becoming easier to purchase, but the price volatility for the buyer still remains. This is where wallets and exchanges can better work together, to let users load their wallet with their local currency, and keep their balance and purchasing power in their local currency. Then, only buy the bitcoins at the moment they are needed to send a transaction. On the receiving side, we already insulate our merchants from the volatility by guaranteeing the exchange rate, and we automatically convert the incoming bitcoins to their local currency. 5. What else could the Bitcoin community be doing to address these concerns? There are some brilliant people in the Bitcoin community, and if the problem is big enough, someone will take the initiative to solve it. This is the beauty of bitcoin. You don’t need to ask your boss, if you see a need to solve a problem, you can just build it yourself. 6. Aside from your work with BitPay, you have done considerable work in the effort of promoting Bitcoin to merchants and ordinary people around the world. What, in your experience, is the single most compelling argument to convince the average merchant to care about Bitcoin? 7. Aside from your basic payment processing system, BitPay has experimented with adding features targeted to very specific use cases and businesses. You have a Bitcoin deposit card that allows anyone with a smartphone wallet to pay into your ordinary bank account, you have a product offering scannable tickets for events like movies, plays and concerts, and you have a page dedicated to taxis and limousines. Has this side of marketing approach been successful, or has a more generic strategy of focusing on one core product proven to be the better way forward? It has been successful in certain cases, and we would be interested in doing more branding like this. Bitcoin is a whole new concept and difficult for many business owners to grasp. The idea is to try and connect with a certain type of business, and make a simple bitcoin payment system just for their needs, without too many confusing options that they don’t need. 8. What are BitPay’s next steps for the near future? Are there any specific areas in which you are planning to expand, or any new services which you plan to introduce? We are continuing to innovate on the core platform and add new features. Our plans for growth are mainly through our Integrator network. This would give programmers around the world the opportunity to help merchants in their local area get setup to accept bitcoins with BitPay, rather than try to build a do-it-yourself solution. We believe that tech support is best handled as close to the merchant as possible, so we would share a percentage of the fees we earn from these accounts with the local integrator. The Bittiraha.fi group in Finland is a great model for other teams around the world to emulate. Bitcoin Magazine is a quality product, and it really helps us sell bitcoin when we meet with businesses in person. Keep up the great work!